A glamorous gold tone case presents a silver colour sunray dial, complete with glistening crystal set stone hour markings, and two sleek hands. 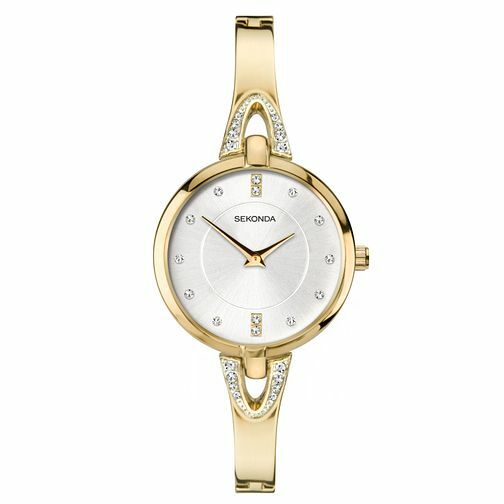 This chic timepiece is complete with a stylish gold tone semi-bangle, with a crystal set link to the case. A stylish timepiece to take your day looks into evening.